Glossier Soothing Face Mist – For fresh, glowing skin all day long, Glossier’s mist hydrates and soothes with roses and aloe. 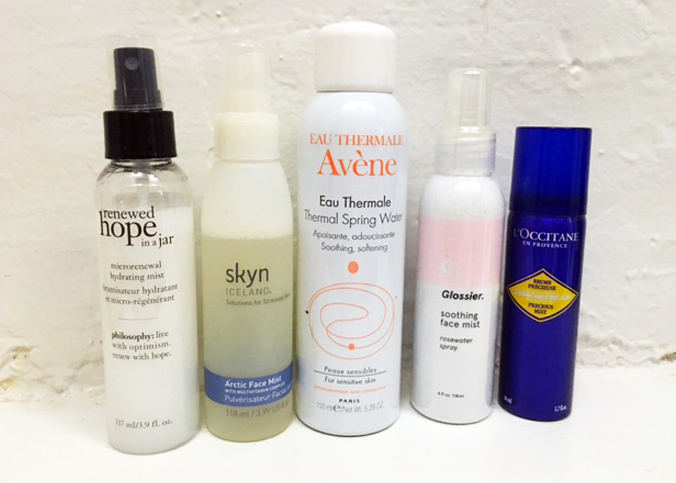 Personally, I use a spritz before my moisturizer but it can also be used as a makeup refresher and midday pick-me-up. 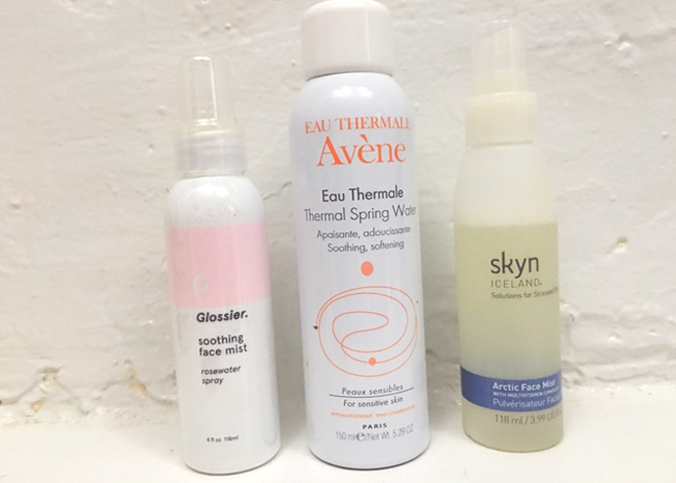 Avène Thermal Spring Water – A cult favorite, Eau Thermale Avène originated as pure rain mixed with sea-spray rich in mineral salts. This one-of-a-kind product preserves the Thermal Spring Water under sterile conditions throughout its use, thus preserving its soothing and anti-irritating properties. Of all the mists, Eau Thermale Avène boasts the most uses: after shaving, for diaper rash, after cleansing, after sports activities, for damaged skin/ wounds, after sun exposure and to soothe allergic reactions/redness/itching. Wow! Those are some perks. Skyn Iceland Arctic Face Mist – Skyn Iceland’s mist instantly helps soothe and stabilize irritable skin with a cooling burst of mineral water and vital nutrients, improving tone, texture, and radiance. While the product can be used on all skin types, it’s best for stressed/sensitive skin and acts as a refreshing toner and makeup setter. 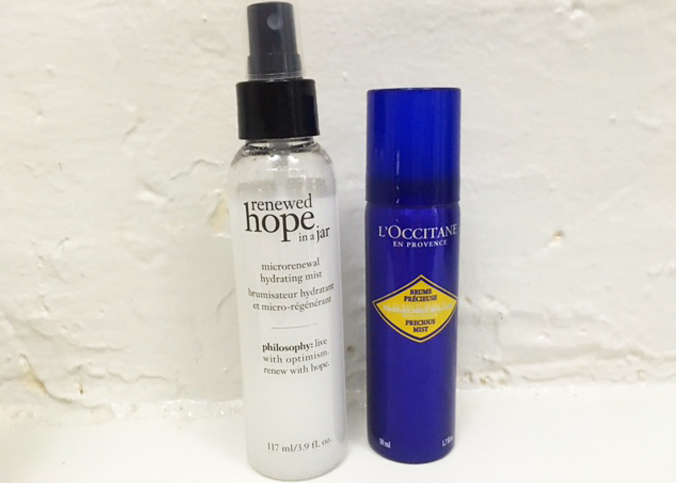 Philosophy Renewed Hope In a Jar Microrenewal Hydrating Mist – Each spritz of Renewed Hope In a Jar Microrenewal Hydrating Mist delivers three forms of alpha hydroxy acids for zero shine skin while an Asian fruit extract boosts circulation for a dewy glow. L’Occitane Immortelle Precious Mist – Come here my precious…and freshen and lightly mist me with enriched with immortelle floral water. The spray provides a moisturizing base for serums, moisturizers, and foundation (AKA step 2 after washing your face).